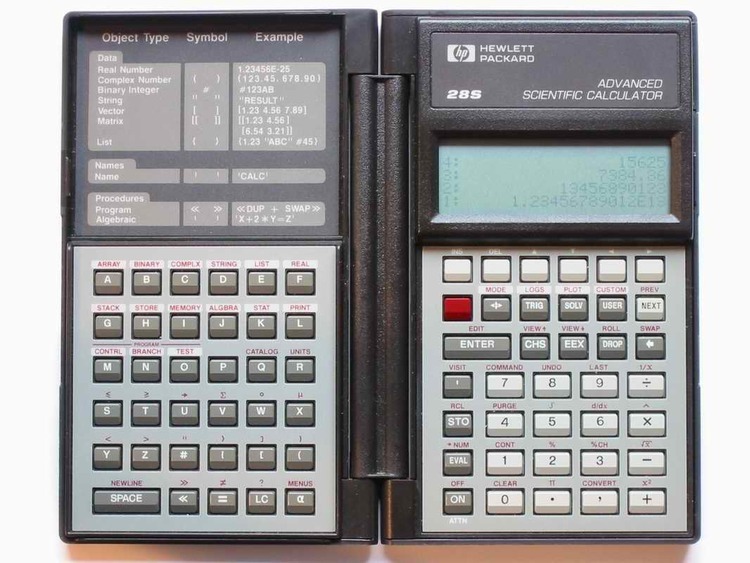 TSR version of the Hewlett Packard HP-28C calculator. previously in use simply press the Escape key. ASCII file named RESINT.DOC, and this README.DOC file. view ordering information for the full version. programs on systems with limited memory. or call 1-800-565-5067 for VISA, MasterCard, or AMEX. to the root directory of your hard drive and type RESSML. non-resident full version is started by typing NONRES. printer spoolers, some communications software, etc.). available in the full version. also used to represent cartesian co-ordinate pairs. 4 -*f1 MAX return greater of level 1 and level 2. -*f2 MIN return lesser of level 1 and level 2.
solve for variabe o level 1.
bringing level 3 to level 1.
complex function. See also CONV key.